Every two years, my French family organizes a big one-week family reunion. Two years ago it took place in the beautiful mountain village of Valloire and this year we spent the week in Brittany at the sea. 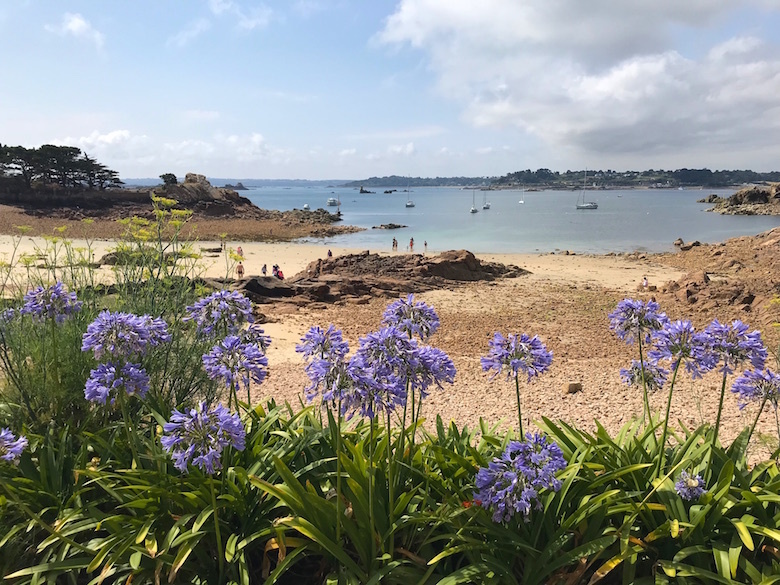 With a moderate climate, a breathtaking scenery, gastronomic delights and famous tourist attractions, Brittany is one of the most popular tourist destinations in France during the summer. Our hotel was located in the shelter of a rock, at the foot of the Cap d’Erquy. We only had to walk a few meters to cool off in the ocean. Of course, lying on the beach was not enough for me. So I made some day trips and multi-hour hikes to explore the area. I also visited the French department Normandy for a few days. Since my best friend grew up in a village called Sassy near Caen and visited his family, he invited me to his place for the weekend. We spent an afternoon at the beach in Ouistreham and visited the beautiful cities of Caen and Honfleur. Erquy is one of the most important cities on the coast of Penthièvre and a very active fishing port. Above the port of Erquy rises the Cap d’Erquy. This cape is suitable for multi-hour or full-day hikes. I can recommend you the hiking trail GR34. 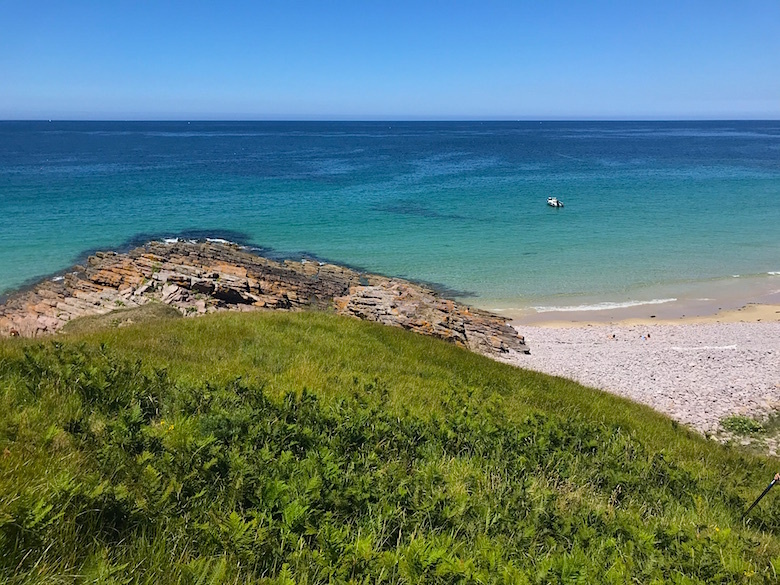 This 8-kilometer circuit starts at the fishing port and leads along magnificent turquoise waters past magnificent granite quarries, the magnificent beaches of Lourtuais, Portuais, Guen, Lanruen and Saint-Michel to the small island of Saint-Michel, which is only accessible at low tide. The old town of Saint-Malo is unique. The facades, towers and fortifications give the city its unique silhouette. Walking along the city walls is a lot of fun and offers breathtaking views. Also the narrow streets with their numerous restaurants and the pretty cathedral are worth a visit. 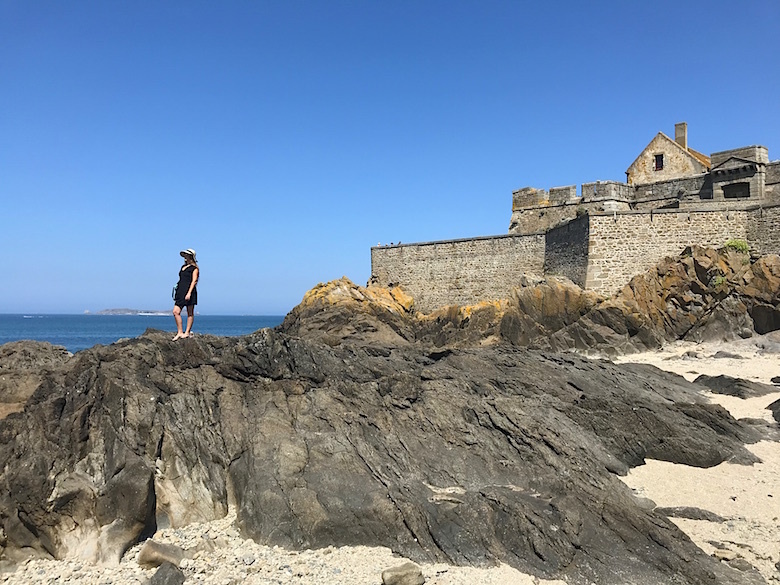 At low tide, you can even walk to the island of Grand Bé, where Chateaubriand is buried, and Fort National, a historic fort built in 1689 by Vauban and Garangeau. The Mont-Saint-Michel has been a UNESCO World Heritage Site since 1979 and attracts 3 million visitors each year. For a good reason. The pyramid-shaped abbey, which is towering into the sky, was built on a rocky island and is one of France’s most beautiful sights. The island is located in the mud flats and can be circled on foot at low tide. You can explore the small streets leading to the abbey for free. For the abbey you have to buy a ticket which costs 10 €. A visit to the abbey is definitely worth it, because you can see the imposing Knights’ Hall and the pretty St. Martin’s Chapel. 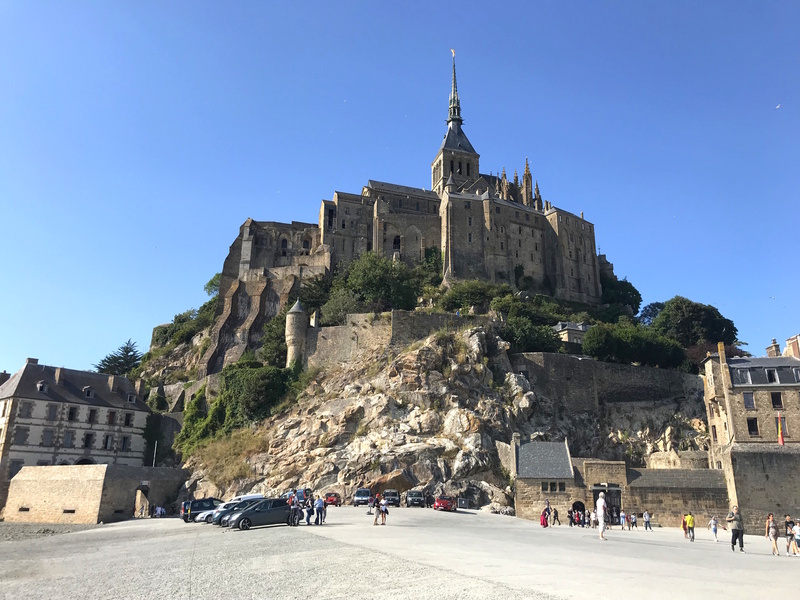 You need at least half a day to visit the Mont-Saint-Michel. Bréhat is an island in the department of Côtes d’Armor and is located on the northern headland of Arcouest in Brittany. The island of Bréhat is also called the flower island. Due to the mild microclimate in winter, a large variety of flowers and plants, which are most of the times found only in Mexico or Australia, grows on the island. Bréhat can easily be explored on foot. The big round trip takes three to four hours. Among the highlights of the island are the Paon lighthouse and the Chapelle Saint-Michel perched on a rock. 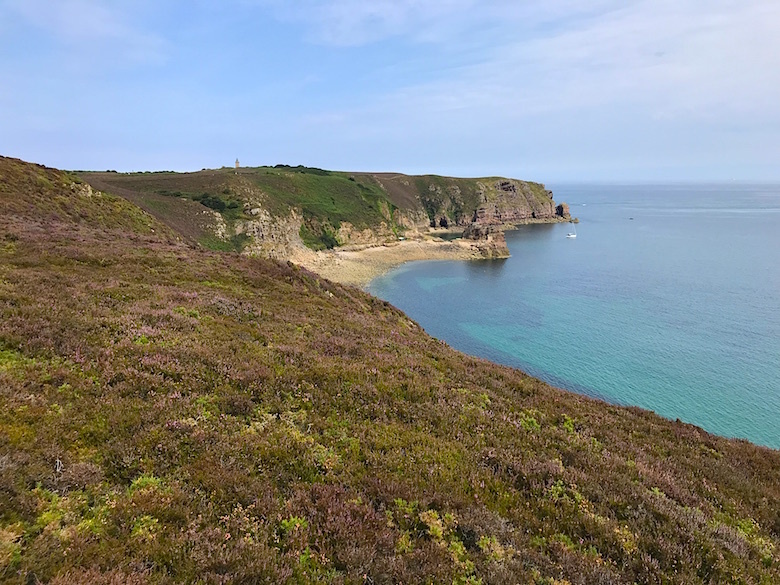 The Cape Frehel is one of the most beautiful natural areas in Brittany. Its majestic cliffs of pink sandstone culminate at a height of 70 meters above the sea. From the lighthouse, you can enjoy a unique view over the entire area. An approximately one-hour path will take you along the spectacular cliffs to Fort la Latte. The listed Fort la Latte is the most visited castle in Brittany and was built in the 14th century. Caen is a vibrant and dynamic metropolis where you can easily spend a few days. 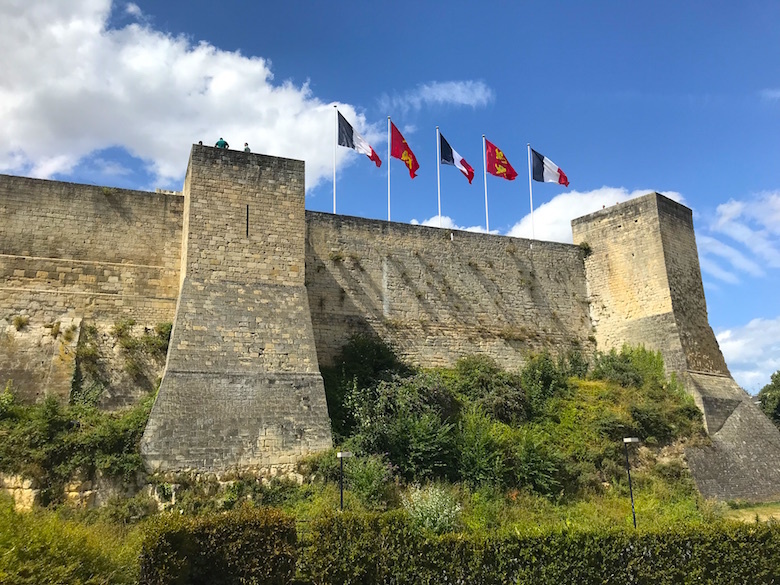 Its numerous parks and gardens, as well as its attractive neighborhoods, make the city one of the cities in France with the best quality of life. Among the best sights are the Romanesque abbeys and the medieval castle. 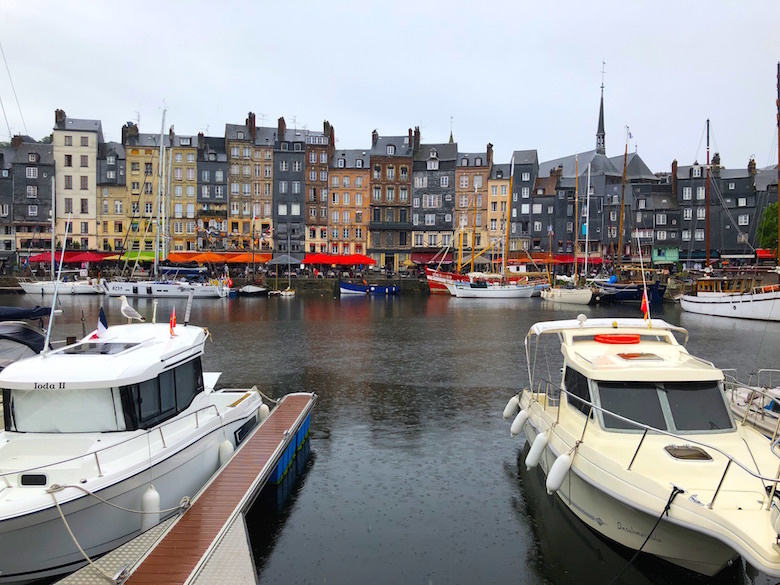 Due to its lovely city center, the numerous old warehouses and its old harbor, & nbsp; Honfleur is one of the most romantic cities in France. It’s just fun to stay in the city, eat moules-frites and walk along the harbor. The city’s most impressive sights are the Church of St. Catherine and Le Vieux Bassin, the most beautiful of the four docks.